Got Wi-Fi dead spots at home? A range extender, which rebroadcasts your existing Wi-Fi signal as a new wireless network, is one option for fixing. A smarter option is mesh networking. 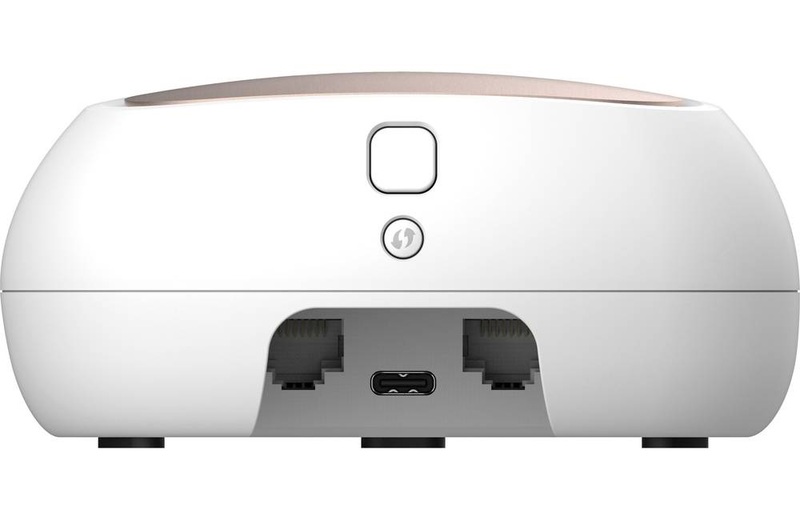 This is where mini Wi-Fi access points link to each other, providing Wi-Fi coverage. Unlike a range extender, this happens over a single network. If your Wi-Fi fades at the other end of your house, mesh networking might fix your coverage woes. Most network equipment players have launched mesh networking gear. Now it’s D-Link’s turn with the COVR range. The setup process is simple. It involves downloading and installing a mobile app (iOS or Android), which lets you get the COVR configured. Connecting the COVR base station to my router, I placed one node in the dining room and the other in my wife’s office. Total setup time was a mere 10 minutes. In fact, the entire process is so straightforward that even my mum could do it. The mobile app is intuitive. That said, I’d have liked the option to switch to a more detailed menu with more management options, such as switching off the LEDs that illuminate the COVR logo on top of the base station and nodes. If you’re looking to put a COVR in your bedroom this is a biggie. Accessing the COVR from a web browser does however provide more management functions. One function I found via the browser was the ability to block connections on a per device basis. I could also set time limits for connectivity – anyone with kids should appreciate this. Looks-wise, the COVR is both easy on the eye and unobtrusive. Both the nodes and base station resemble miniature robot vacs and they’re so small they can get tucked away out of view. If that’s not an option, they also come with copper or aquamarine coloured plates that clip onto their top to help them blend into your home’s décor. The only design decision I have issues with is the lack of Ethernet ports. At least four ports are needed and eight would be grand. After hooking my NAS to the base station and then the base station to my router, there were no more connections. This means either getting a network switch (and adding more clutter) or skipping the COVR. NetGear’s Arlo and Google’s routers also suffer from this. It’s annoying. 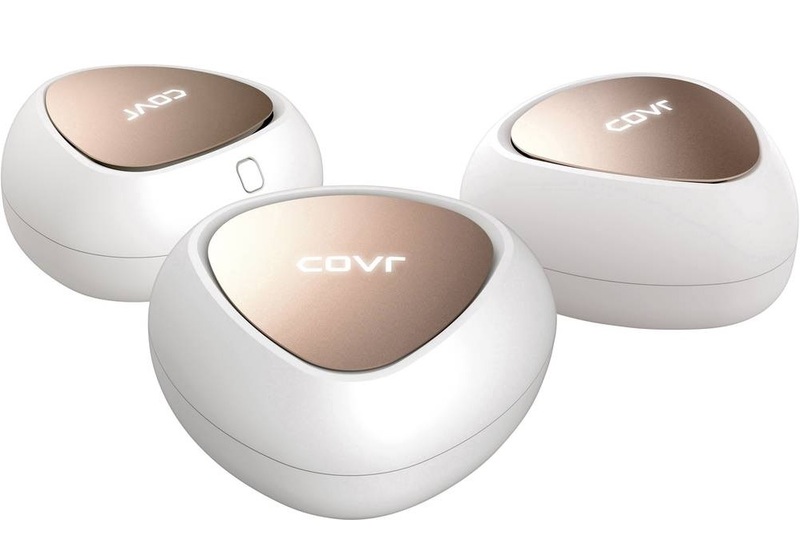 The COVR also sports MIMO capabilities so it’ll beam signals to MIMO compatible devices to improve wireless performance. There is one performance bottleneck. It comes in the form of the COVR being a dual-band device. Some range extenders use a third frequency to connect to a hub which has the added benefit of not hobbling Wi-Fi performance. With the COVR the 5GHz band gets shared between nodes and Wi-Fi connected gear. D-Link earn brownie points for their excellent choice of power brick. It uses a USB-C connector and is compact enough that access to the other power sockets isn’t blocked. So, how well did it work? Wi-Fi reception in my wife’s office is at best unreliable. Its flakiness gets compounded by a block of flats next door who occupy all available Wi-Fi channels. This makes reception away from the router ropey. By placing one of the two satellite nodes in the middle of the house and the other upstairs, I now have reliable Wi-Fi. Network performance in my house (and a good few metres outside) is bomb-proof. 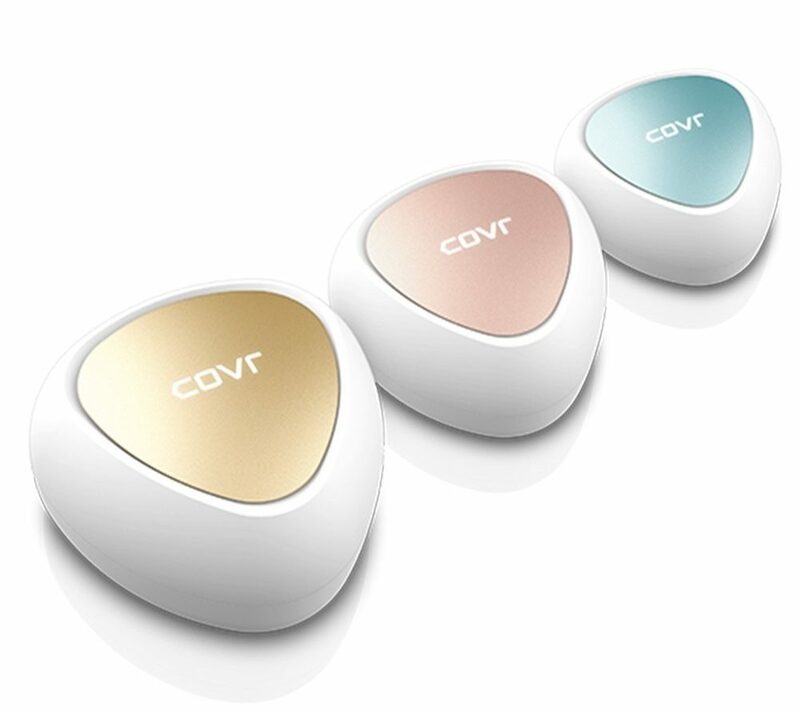 If you’re looking for a simple way to get seamless Wi-Fi, the COVR is a good option.